Original era manufacture. Olive brown painted steel spurs with movable rowels. 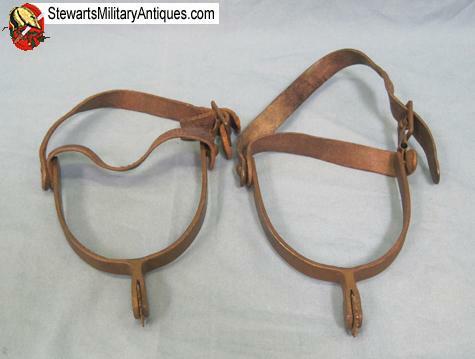 Complete with their proper brown leather straps. 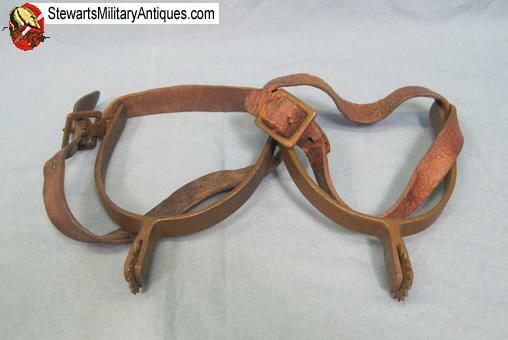 There are strap attaching buckles on each spur, one of the adjustable strap ends has broken, both sections are present and can be repaired for display. Normal age and wear otherwise.